"The National Library website is the web presence of the National Library and its statutory, heritage, advocacy and service functions. It aims to be a trusted source of knowledge, particularly with regards to content relating to, or originating from Singapore." 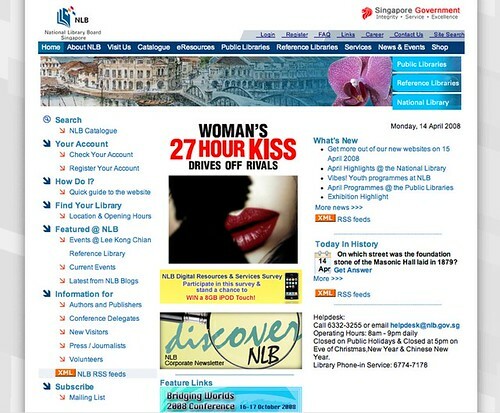 "The Public Library website is the online presence of the network of public libraries in Singapore. 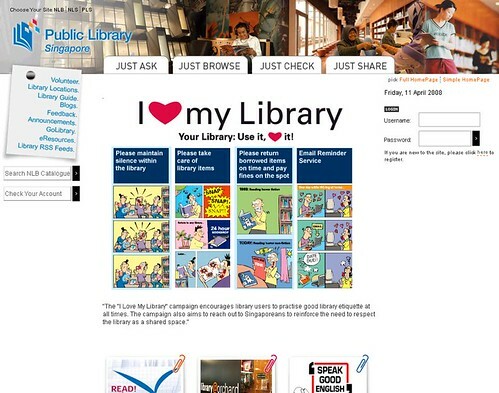 It aims to provide, promote and enhance the use of public library resources and services." It may surprise (confuse?) many people that the "National Library" and the "Public Library" isn't the same. 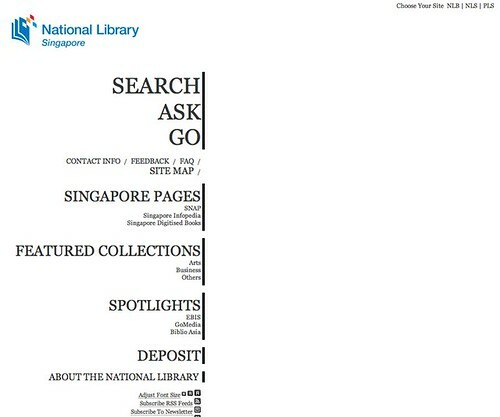 Singapore is one of the few countries whose National Library and the Public Library system are managed by one entity. In most countries, these two systems are managed separately and serve different purposes. The new distinct sites serve to emphasise such a difference. 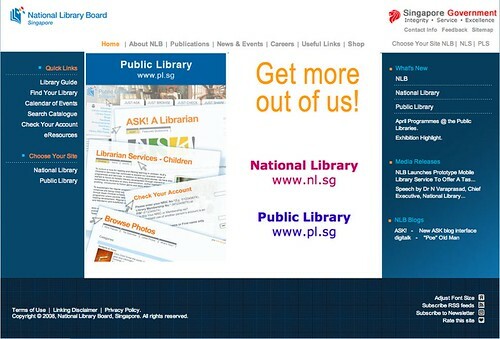 I'll blog more about the services and features in the new Public Library website, in another post. I wanted to blog about this but I couldn't get the pl.sg site at all when I tried this morning, late afternoon and an hour ago. The first thing that came to mind when I looked at the 2 new sites (NL & PL) is "huh?" The average user doesn't know the distinction between the 2, and doesn't care either, even though NLB would love for them to. One of the basic tenets of usability and information architecture is to organise your website according to the user's mental model, and not your organisation's internal structure. The split in websites, IMO, is a step in the wrong direction.